When Bev Jacobson grew up in Detroit, Michigan, finding kosher foods to celebrate the Passover holiday was a piece of (unleavened) cake. Stores serving Detroit’s large Jewish population were easy to locate. After the research chemist moved to Fargo, North Dakota, finding shops that served the dietary needs of that city’s small Jewish community was a different story. Few stores stocked specialty, seasonal items for a community that numbered only several handfuls of families. For many years, Jacobson would have to plan ahead and place an order for Passover items with friends traveling to larger cities like Minneapolis, a three hour car ride away. That’s where Amazon’s vast selection and ability to connect customers with small businesses selling specialty items that may be hard find, has had a huge impact on people’s lives. “What’s great is that with Amazon, we can pretty much get everything we need for Passover,” Jacobson said. Gefilte fish, a seasoned, ground white fish in gelatin, and matzah, a thin, crisp bread made without yeast – and thus, unleavened – are readily sold in Amazon stores and are just a few clicks away. About 1,500 miles east of Fargo, in Brooklyn, New York, Passover is “Go Time” for Dobi Raskin, a manager at BenZ’s Gourmet. BenZ’s sells its matzah and gefilte fish directly to local customers, and also uses Amazon’s stores to reach people around the country who are shopping for kosher items. Passover, which commemorates the millennia-old Jewish exodus from Egypt, is when BenZ’s sees a spike in demand for its products which are staples of many Passover dinners – or Seders. We now have customers from all over the world who see our packaging, are interested in it, and can get it right away in Amazon’s stores. That’s such a gift for a small business like ours. Most of what BenZ’s sells in Amazon’s stores is its jarred gefilte fish. Worried the jars might break while being shipped, the BenZ’s team experimented with different kinds of packaging. The wrapping technique they settled upon kept the container safe. Today, BenZ’s ships its inventory to Amazon fulfillment centers, and Amazon – through its Fulfillment by Amazon program – handles every aspect of the transaction and delivery to customers. Not far from BenZ’s in Brooklyn, Ashley Albert, the co-owner of another small business The Matzo Project, is also preparing for customers’ Passover needs. Albert and her business partner, Kevin Rodriguez, met in the 1980s at a Jewish summer camp. Two years ago, the pair opened a boutique matzah company that sells specialty matzah and related foods. Its offerings include cinnamon, harissa and everything-flavored matzah, as well as vegan matzah ball soup mix. The business’ items are certified as kosher, meaning their food complies with a set religious criteria. The company hopes its items have an appeal beyond the Jewish community. 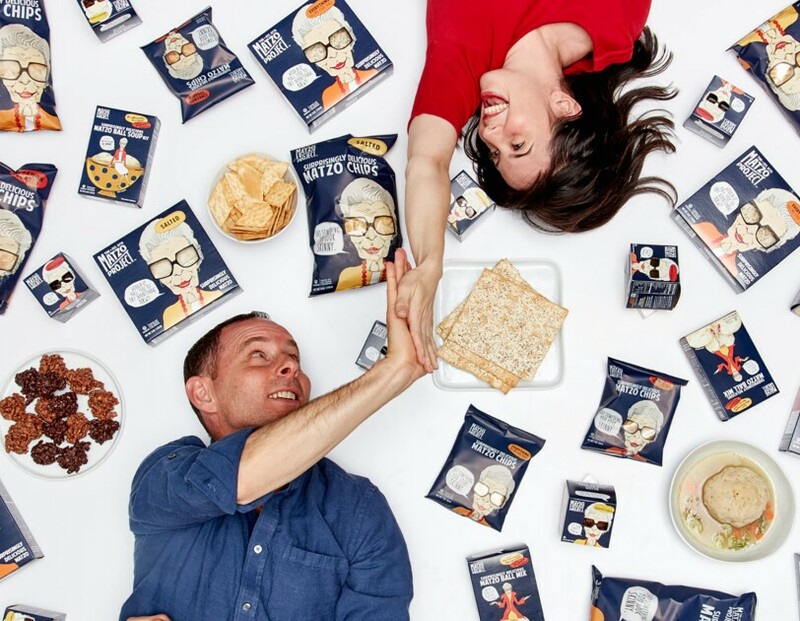 Selling in Amazon’s stores, as well as being recognized – twice – as one of Oprah’s Favorite Things, has let a wide array of customers discover the Matzo Project. Ever wonder how Amazon gets your packages to you so quickly?